I had been toying with the idea of a healthy breakfast loaf, muffin or pancake for a while now. Something that tastes good, keeps well and doesn’t feel like “cake for breakfast.” Something away from processed carbs and added sugar. Something that’s not a sugar-infused, jam-centred, frosting-topped indulgence. Yes, I love frosting and sweet treats, but when you like them as much as I do, you need to strike a balance and find ways to satisfy the craving without sabotaging the waistline. Enter buckwheat flour and the realm of gluten-free baking. I’ve tried vegan bakes before, but gluten-free seemed daunting. I was uneasy- I wondered whether the dough would be temperamental, whether xanthan gum was a must-have, whether I’d be left with a gloopy mess. I’ve baked with almond meal, but always mixed it with regular all-purpose flour. I found buckwheat flour in Dorabjee’s in Pune, and started experimenting. This is one of them. 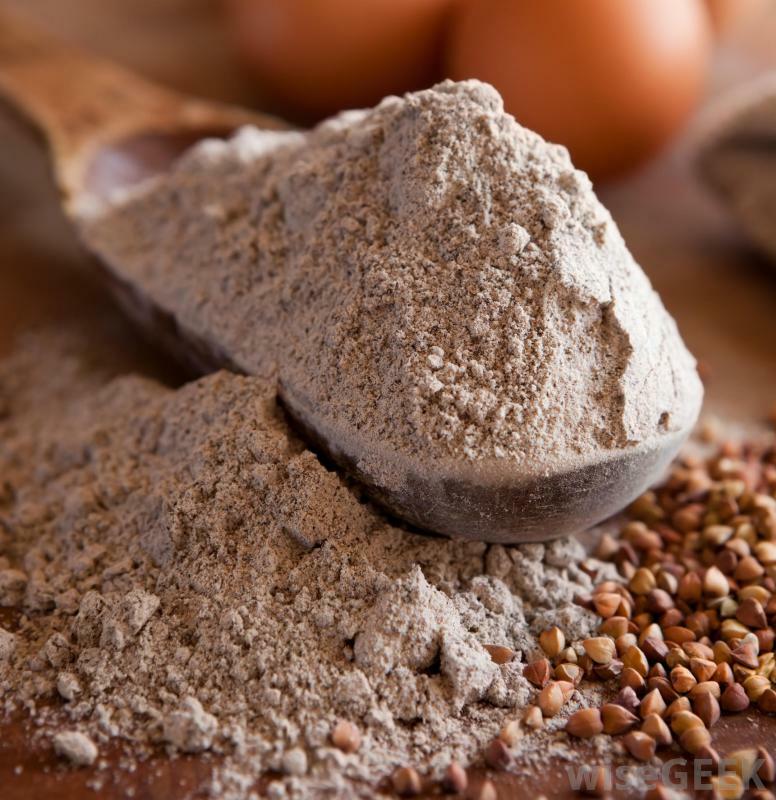 Most recipes, blogs and articles I’d come across described buckwheat flour as having a “nutty” taste. But the first recipe I tried (for buckwheat pancakes,) didn’t really hint at nutty. Maybe it’s because I was expecting too much. For someone who adds almond meal to practically every cake, nuttiness is de riguer. The second time around, I reworked the recipe to include eggs and milk, and left out the baking soda. Omitting the soda was a good move. I liked it much better the second time around. I don’t know if I’d describe the taste as nutty, but there is hint of something- kind of nutty, kind of like cinnamon- and it’s a nice taste. Anyway. 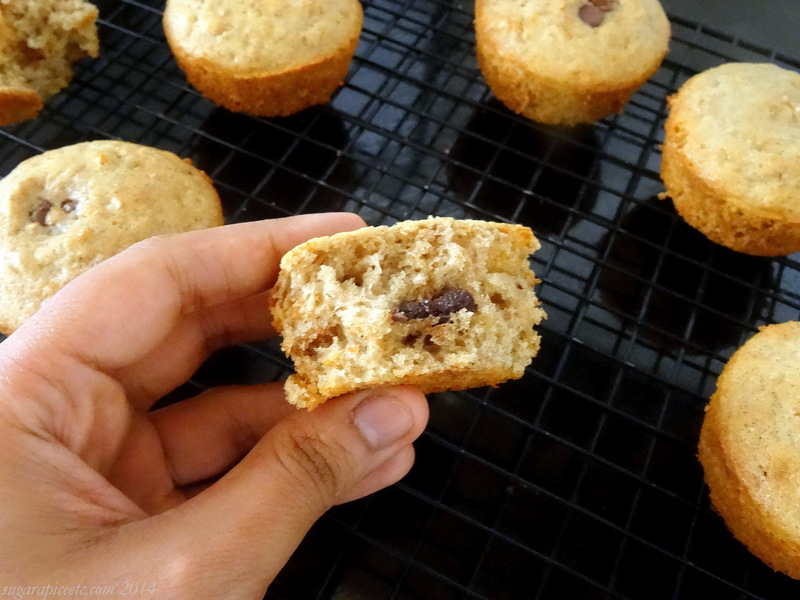 This recipe was created out of a need to bake something healthy and convenient for a family member who loves baked goodies, but needs to stay away from gluten and sugar for a while. I took a basic muffin recipe from Michael Ruhlman’s Ratio and replaced regular all-purposed flour with buckwheat flour and folded in some store-bought muesli. These muffins last, so re-heating them for breakfast is convenient. 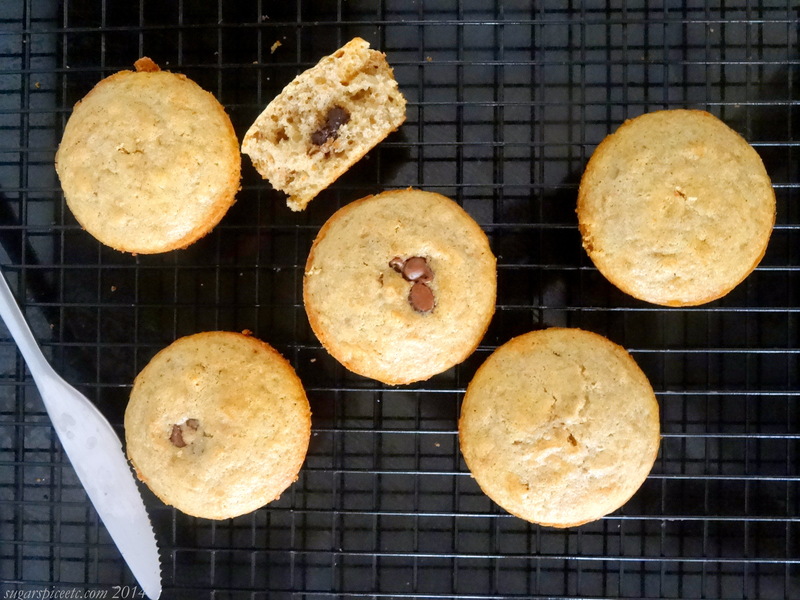 These muffins also travel well, so taking them to work is an option, too. Plus, the muesli folded in makes it a decent breakfast. I’ll admit they are not the sweetest things in the world, but they serve as a great vehicle for preserves, jelly, honey, agave and/or butter. The only indulgence is chocolate chips- but because it’s gluten-free and low in sugar, you can feel pretty good about yourself afterwards. Preheat oven to 175 C. Grease a muffin tray and set aside. In a large bowl, sift together the buckwheat flour, powdered sugar and baking powder. In another bowl, whisk together the milk, eggs and butter till well incorporated. Fold in the dry ingredients and gently whisk to combine. Scoop the batter into muffin moulds and bake at 175 C for 30 minutes or until a toothpick inserted comes out clean.